Northern Virginia’s best metal club, Jaxx, gave its website a long due update. 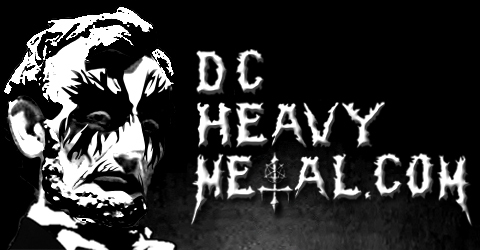 The site is no longer tagged “DC’s Euro-Metal Home” and gone is all the neon green. The site seems to be much cleaner and better laid out, though it seems to have lost almost any sense of its distinction. The old site was really dated and ugly, but it at least looked like you imagined a Jaxx site would. That said, I can’t blame them for trying to update their image some, the website being a part of that. They painted over all the glam rock band names they used to have in the main room and I sure didn’t complain about that. With the recession really hitting the entertainment industry in general, combined with bands scrambling to figure out how monetize their music with CD sales plummeting, there just aren’t as many tours going around. So Jaxx has become more diverse to make up for it. I’ve seen reggae and j-pop and various other completely non-metal events on the calendar, and I think they want to adjust their image to something that isn’t tied directly to metal in order to reflect that. On one hand this seems reasonable, I just hope it doesn’t backfire and alienate the dedicated fan base that’s already there. I’d imagine it won’t too much, as long as Jaxx continues to get some of the best metal bands that come to the region. I wonder if they’ll bring back parts of the page like the Jay Page and the staff photos page, I thought they added a more human element to the site and to the club itself, so it doesn’t seem like some faceless corporate entity (which it’s not). There’s a bit of talk about it all on the Jaxx forum. The website admin has been checking the forums pretty regularly and he responds quickly and helpfully to suggestions, comments and questions on there, so let him know what you do and don’t like. 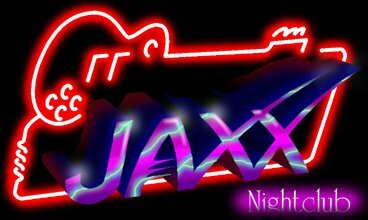 If you’ve gotten this far and haven’t check out the new site yet, well, do it now: www.jaxxroxx.com. Very interesting. I dislike change, and pretty much always hate any website redesigns. Their new calendar STILL doesn’t have an RSS feed. It would be nice if every new show popped up in my RSS reader. I really prefer black backgrounds. They don’t burn us so much. I guess I’ll get used to it eventually :) Nice review.